Yesterday, March 28, was the day, three years ago, on which we decided to begin our adoption journey. As I pondered that day, I thought about how excited we were as we begun the process. Looking back now, I would call it the “honeymoon” stage. At the time, I had no idea that we would go through eight long and tough months of gathering all of the required information, going through the required interviews, surviving insensitive comments people would make, etc. Then, after our dossier had been in Nepal for another eight long and tough months, I had no idea that the US would close the doors to Nepal. August 6, 2010. It took us seven months to recover from this “adoption miscarriage”—and it was for a child we never even saw or met. We began our China adoption journey on March 21, 2011. 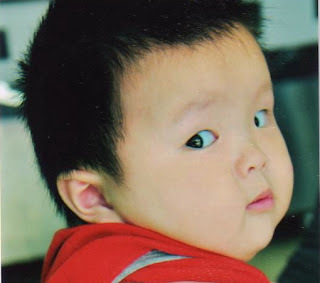 Nine months later, on Dec. 1, 2011, our completed dossier was logged in at the China Center of Adoption Affairs. And on Dec. 20, 2011, we received the call of a lifetime. Now, literally 100 days later, we are awaiting the call to go get our precious daughter. Many of us in the adoption community talk about how hard it is to adopt. And it’s true. The hoops you have to jump through; the paperwork you have to complete; the incredible amount of money it costs; the volumes of books you need to read; the waiting you have to endure; and for some of us, the years of infertility prior to this process—all of this is extremely difficult, and unless you’ve been through the process, you really have no idea what it’s like. But what we don’t talk very much about (at least while we’re in the middle of the process) is the anticipation and joy that is welling up inside of us. The joy that we’re following a dream. The joy that we’ll get to be parents to a child who was once an orphan. The joy that we’ll get to go to another country, be handed a child who was rescued from the side of a street, knowing that it was our arms that ultimately rescued her. Yes, it cost us a lot of tears; yes, it cost us a lot of time; yes, it cost us a lot of money. But what would it have cost HER if we had not followed our dream? The cost would have been far, far greater. For you, my dear sweet daughter, I would do it over, and over, and over, again. And over again. You are worth living a dream that required much; you are worth all of the time and effort spent—and far more. There is no actual worth we can put on you that would suffice, except the worth of the blood of a Son who came to defend the cry of the fatherless, your cry. Soon, your cry will be comforted by laying your head on the hearts of two people that knew you were worth it all. It's been quite a while since I posted, and I wanted to say hello to all of you! As of 3/23/12, it will be 90 days since we received pre-approval for our precious daughter. Each day our longing for her grows. I am praying we receive our LOA (Letter of Approval) from China ASAP so we can get this show on the road! After LOA comes the i800 process (next step for US), then finally...TA...travel approval from China to go get our little munchkin! She is now 15 months old. Meanwhile, we continue to work full-time (oh my goodness, it is HARD to stay focused), pastor our amazing church of amazing people, and get our house ready for our precious girl. We have the nursery pretty-much done (I'll post pix this weekend)—we just need to frame two pictures, get the dresser/changing table from my sister-in-law, and buy curtains. In other news, Andrew is also building a gate for the top of the stairs by the living room. I have a long "nesting" list of things I'd like to do before our girl comes...cleaning out closets, do a spring yard sale, etc., etc. I'm making my way through the list while I also do other things like keep up with the bills and do laundry and take care of myself! Did I mention how amazing our church is? Well, they are giving us a three-month sabbatical starting from when we head to China to get our daughter. How ridiculously cool is that??? We are going to have a precious time together becoming a family of three! It will be weird to go to church but not preach, or teach in the kid's class, or lead prayer house sessions, or any of the other things (that we get to do, and are so honored to do!). We will just go to church as a family, and enjoy being a part of the church family!! That will be a blessing!! As we wait for our sweet girl, we most of all are drawing near to Jesus, thanking Him for His incredible presence, and thanking Him that He first adopted us. We are His adopted son and daughter. When we hold our baby girl in our arms, we may possibly know for the first time, what it was like for our heavenly Father to hold us in His arms the first time we invited Him into our hearts. To my dear heavenly Father: It is so great to be your daughter.